Is it still reasonable to believe in one all powerful God today? Or has our modern, rational, scientific thinking brought us to a point where “God” is no longer needed? 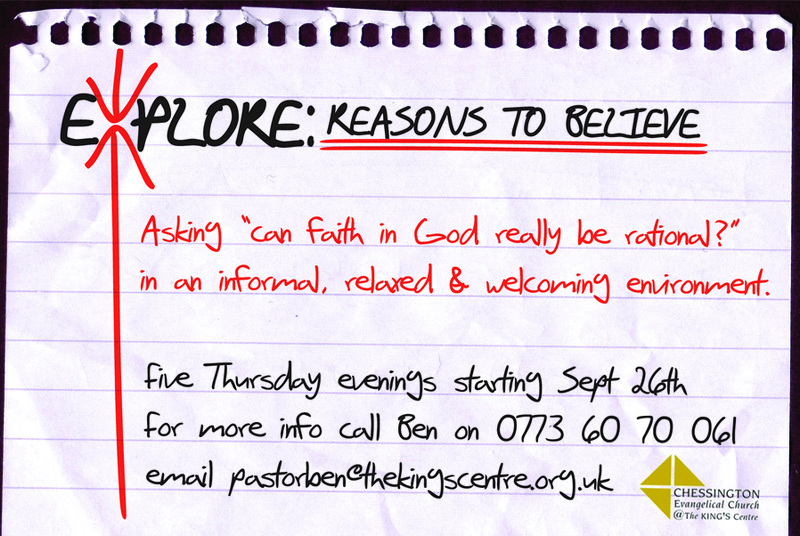 Over five Thursday evenings we will explore five solid reasons why believing in the God of the Bible is not only reasonable but also compelling. 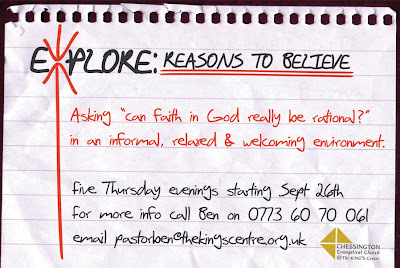 This course is designed for those asking genuine questions about the Christian faith and those wanting to better understand and share their own faith. There will be time for questions and discussion in an informal, relaxed and welcoming environment. There is no commitment to come to all five evenings. Come to all, or pick the subjects that interest you. If you would like to attend, know of anyone who would be interested or if you need more information please contact Ben Clark or Simon Forshaw.